The Eldeco Group has launched a new project called Eldeco Live Greens. The beautiful project offers grandiose apartments in the heart of Noida. The project is located right next to TATA Project in Sector 150 Noida. Spread over 20 acres of prime land, the complex has 2,3 BHK apartments ranging from 1137 sq. ft. to 1404 sq. ft. The apartments are designed with luxury in mind, and have the latest amenities. It is loaded with premium fixtures and fittings. There are a total of 17-18 towers, in G+22 structure in Eldeco Live Greens Noida. The internal amenities in the project are simply amazing. Each home has wide open windows, huge balconies to let in ample sunlight. You can enjoy landscaped views of the beautiful surrounding greens right from your home. The project has a grand entrance with musical fountain, sauna / steam, Jacuzzi, card room, carom room, table tennis, children play area, cycling and jogging Track. There is a driver waiting area with facilities. The complex boasts of a skating ring, yoga relaxation classes, fitness and body composition counseling. There is a gym and massage room. For sports enthusiasts there are basket ball courts, volley ball courts, Tennis Courts, etc. The complex has a jogging track, lawn tennis court, multipurpose court, squash court, and swimming pool. There is 24 x 7 security and gated community to protect you and your family. It has beautiful landscape gardens and rain water harvesting. The project has been designed in order to meet your expectation of living an ultra-modern lifestyle. Strategically located in Sector 150 Noida, Noida Expressway the complex is near a number of renowned educational Institutes, healthcare zones, shopping, and entertainment points etc. The project is near all civic and social amenities. It is well-connected to the surrounding areas as well as the rest of Delhi NCR. The Eldeco Group is one of the pioneers in the real estate development in North India. The group is known for its timely and quality delivery in a number of cities like Kanpur, Agra, Noida, Lucknow, Greater Noida and other parts of Delhi NCR. With over three decades of experience the Eldeco Group has delivered more than 150 projects spanning townships, high-rise condominiums, industrial estates, malls and office complexes all over the country. The company currently has 30 ongoing projects in various stages of development. 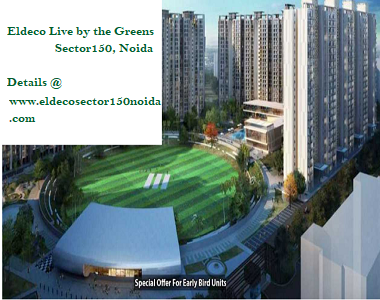 The company’s latest offering Eldeco Live Greens Sector 150 offers premium homes at an affordable price. 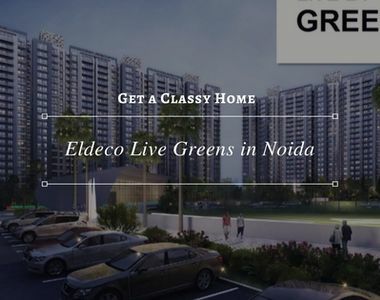 Eldeco Live Greens price starts at just INR 45.58 lakhs and goes up to INR 63.46 lakhs. The developer is also offering a number of easy payment schemes as well as attractive discounts for home buyers and investors. 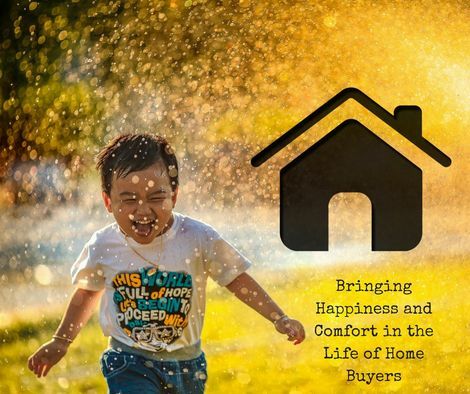 The beautiful homes have everything that you have ever desired. 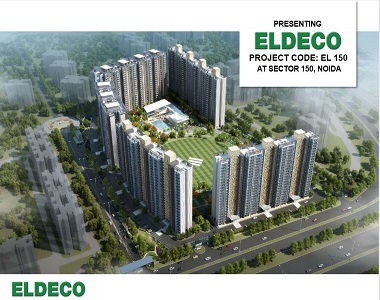 So book Eldeco Live by the Greens now and become the proud over of a lavish home in Noida.